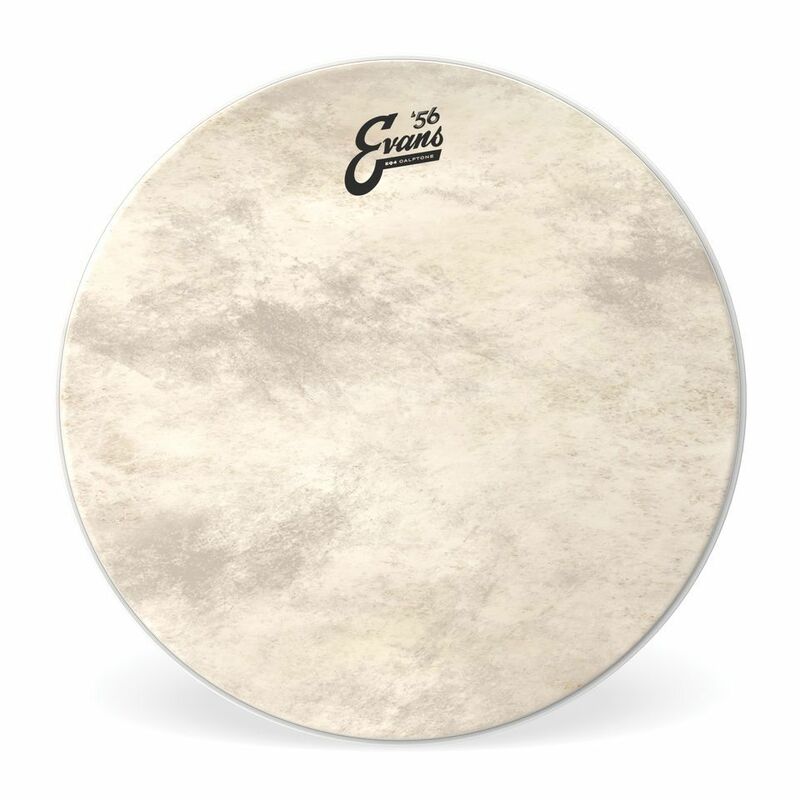 The Evans EQ4 Calftone 16” Bass Drum Batter Head is a synthetic alternative to a traditional calfskin bass drum head. They have the combined look and sound of a natural skin but with the consistency, fit and tuning range of Evan's Level 360 synthetic heads. Calftone is made from Mylar among other unique materials to produce warm, full and rich tones. As well as the tonal qualities this head produces it also brings a vintage aesthetic to your bass drum. It can be used as either a batter or resonant head.